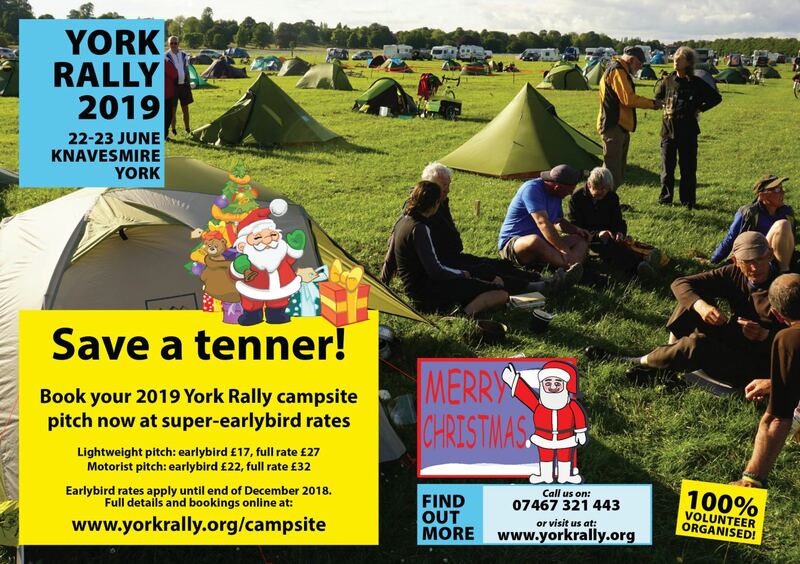 Merry Christmas – York Rally update! 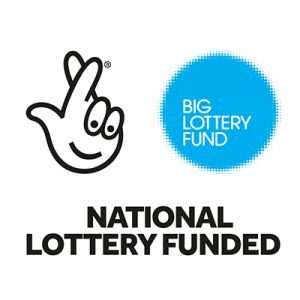 Campsite bookings – last week of super-earlybird! 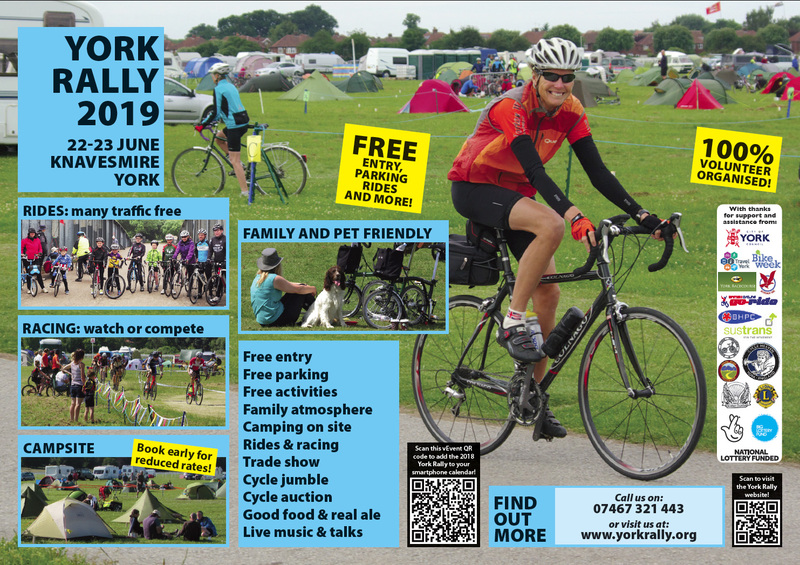 You can save a tenner on campsite bookings for the York Rally 2019 if you get your skates on! Booking at the super-earlybird rates is available until end of December, so book now to save. Advance bookings really help our planning, too. For 2019, we are looking to streamline the check-in process, especially for pre-booked campers, to prevent the queues which developed in 2018. 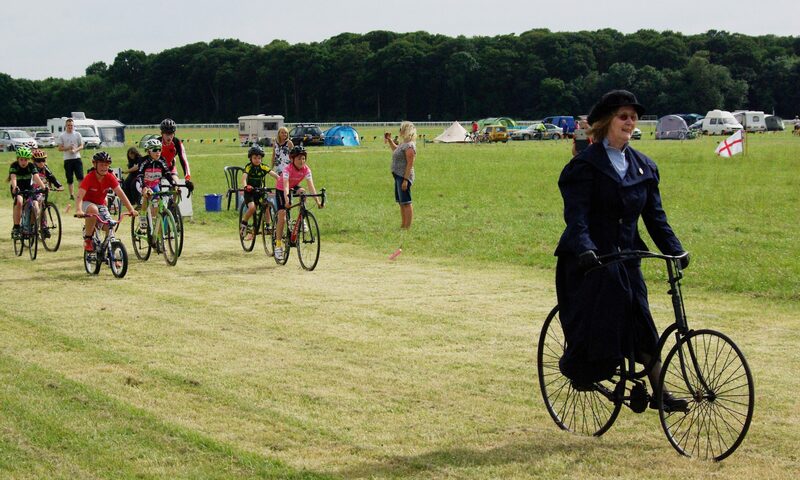 So in 2019, campers who book in advance will be able to check in and have pitches allocated from 3PM, so that when the site opens at 4PM you can go straight on. We cannot allow vehicles on site before 4PM: the hard-working volunteer set-up team needs the time to fully prepare the site and make it safe. Could you perhaps arrive early and be part of that team? We’re always looking for more volunteers to help out in the days before the Rally opens, to set up the site. Please just make a regular campsite booking and add a note that you’d like to arrive early – or register here as a volunteer – and as a helper you’ll be most welcome to camp the extra nights (Wednesday and/or Thursday) at no extra cost. 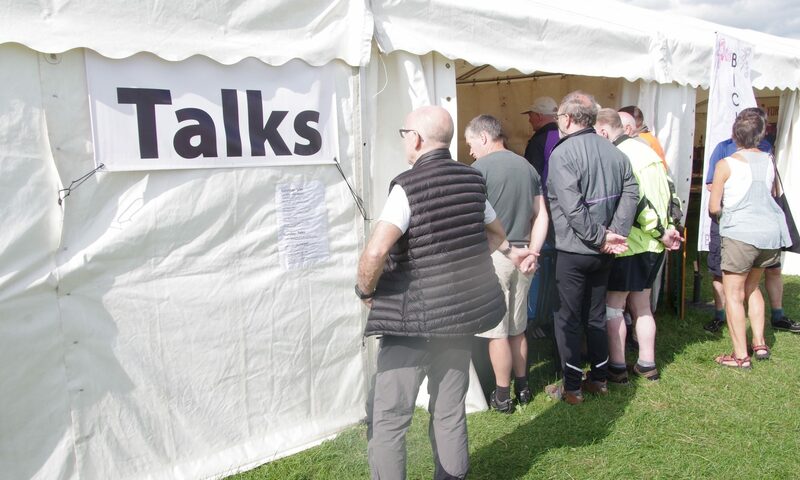 Unfortunately the Rally’s finances do not yet permit any volunteer discounts, so all volunteers (and indeed Committee members) camping on site do need to make a standard booking. Thank you in advance for your support! Saddlebag Sale: prices rise at end December! 2019 bookings for the Saddlebag Sale (the Rally’s cycle jumble, which takes place on the Sunday), are also open now at the earlybird rate of £10 – this rises to £12 after the end of December 2018. In 2018, as you will have seen, we had a table set aside outside the Saddlebag Sale for donated cycling gear, which was sold to raise funds for the Rally. This raised a tremendous £450 and we’re hoping that next year we can raise even more. So please do save up any unwanted parts and accessories, good condition clothing and even complete bikes which you might like to donate to help the Rally. 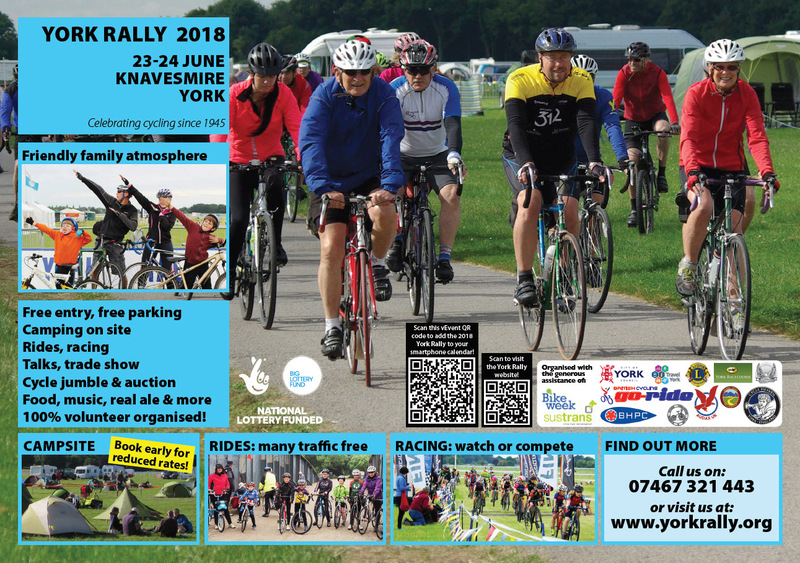 Simply bring your items to next year’s Rally and drop them off ASAP at Rally HQ, or at the Sportive, or we can also accept them at any of our regular planning meetings in York. Many thanks to all of the committed volunteers who agreed, at this year’s AGM in late November, to serve for another year on the Rally organising committee. We could always use more willing hands – please do just get in touch if you’d like to help and could come to most of our planning meetings, which are in York on Saturday mornings every month or so. A reminder that entries are still open for our next fundraising Sportive, which takes place on the 28th April 2019. All the details are here (also forms for postal entry) or you can enter via British Cycling here. Advance entries are just £25 – on the day (if spaces are left) it’s £30. 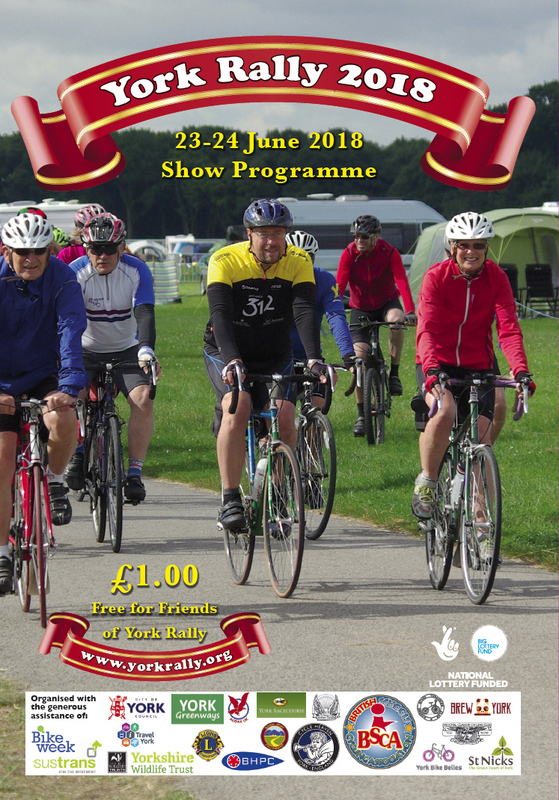 All funds raised go to support the York Rally! This year we’re also adding a gentler, shorter 50-mile (80 km) “Retro Classic” ride for classic cycle connoisseurs – but it still finds its way to the same fabulous main food stop at Marton. Ride in style! Click for full details about the Retro Classic. 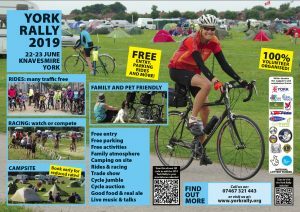 All are very welcome at our next York Rally planning meeting which is to be held from 10AM on the 26th January 2019 at St Chad’s on the Knavesmire Church Hall, Campleshon Road, York. Please just let us know if you would like a lift from the railway station. 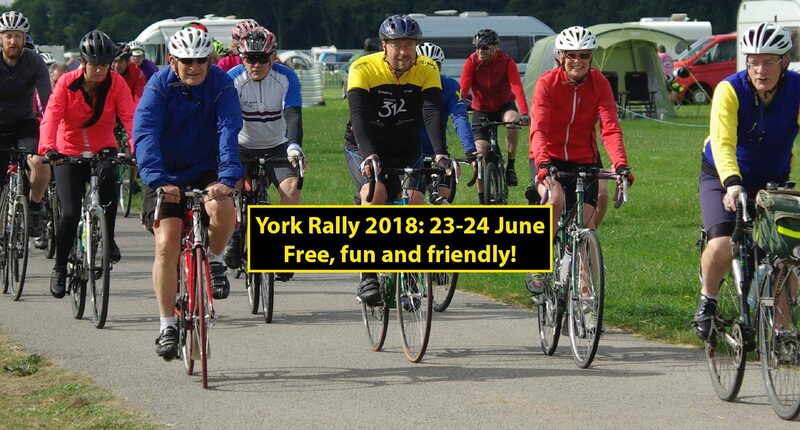 Thanks again for your support of the York Rally – we’re already looking forward to seeing many of you next year! 2018 Show Programme off to print! Here’s a preview of the cover – click to enlarge!